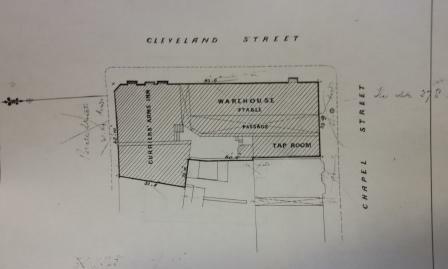 The Curriers' Arms Tap is recorded on census records from 1891 onwards and used to share the yard at the rear of the Curriers' Arms as the plans lower down the page show. 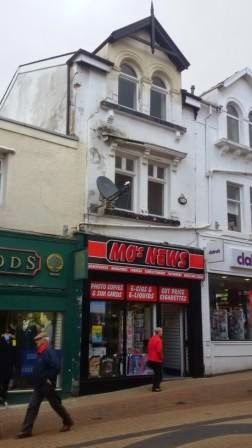 Prior to this the premises had been used as a butcher's shop by a Henry Fishwick; it is currently occupied by a newsagents, pictured above between Greenwoods and Claire's. 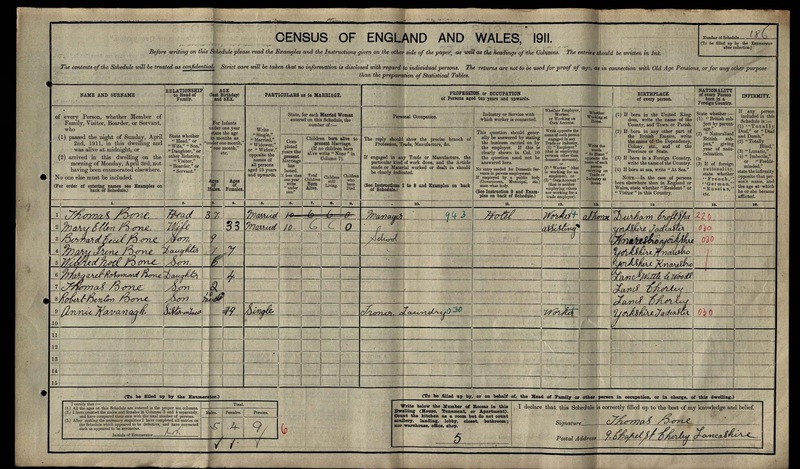 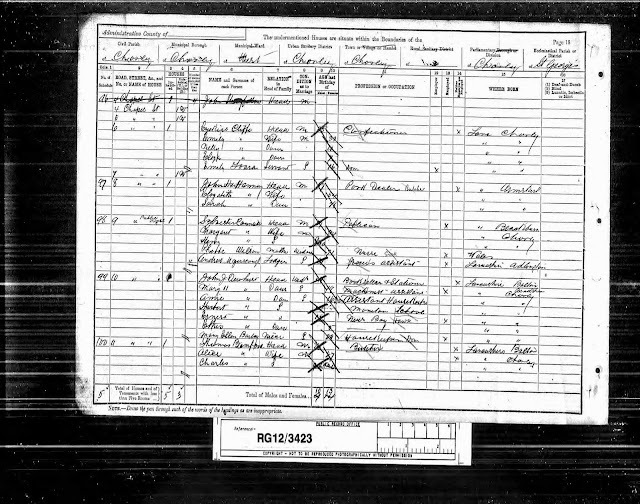 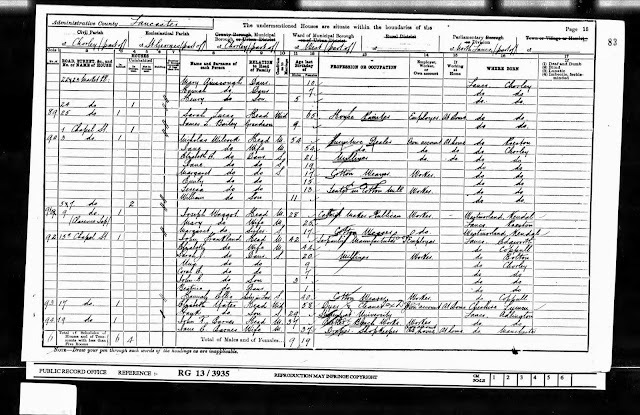 The recorded landlords were Sylvester Counsell (1891), Joseph Waggot (1901) and Thomas Bone (1911).